If you are looking update your home in 2018, one of the best places to spend your remodeling dollars is in the bathroom. Renovating a bathroom can be crucial to making that important sale, especially if your home only has one bathroom. 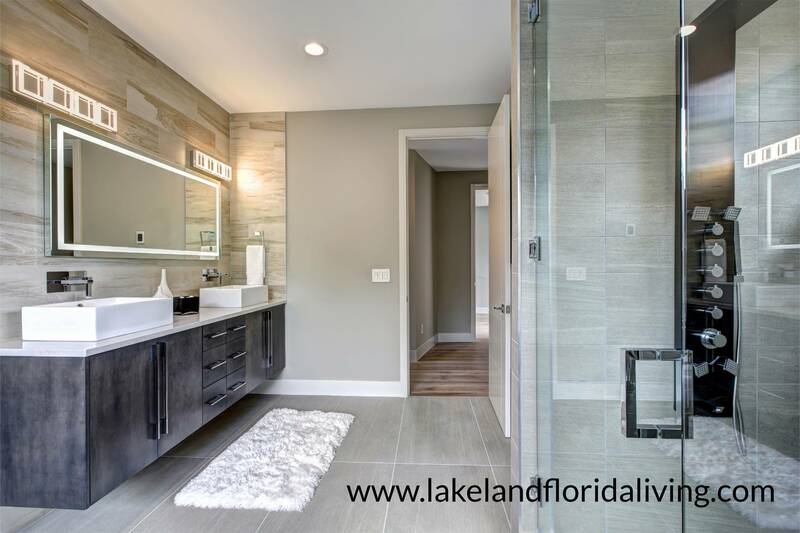 The new year, has brought in new trends for bathroom design that will be quickly gaining popularity across the country. Get the scoop on these trends now before everyone else, and incorporate them into your bathrooms right away! To know what will catch the eye of the most discerning buyers in 2018, check out this breakdown of the best bathroom remodeling trends in the new year and years to come. The bathroom is much more than a room used solely for hygiene. In recent years, the bathroom has been redefined; becoming a space of sanctuary, beauty, and relaxation for homeowners. 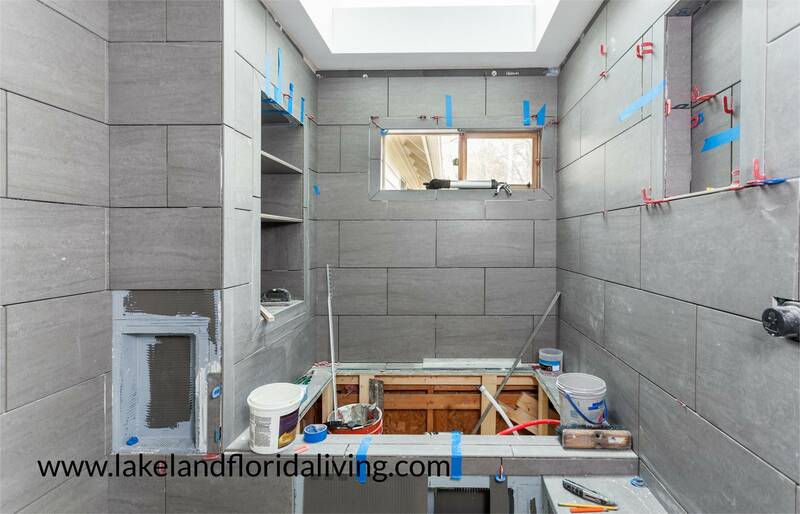 This means finding ways to expand your bathroom space to create an open, airy feel will pay off in your remodel. You can find potential space to expand your bathroom by downsizing adjacent rooms or closets. You could also consider making a small addition to the footprint of your home to accommodate a larger or additional bathroom. Or use certain design concepts to create the illusion of a larger space. These tricks include installing continuous flooring that accentuates the length or the room, bigger mirrors for reflecting light, and brightening the color palate with a fresh coat of vibrant, yet lightly colored paint. Design trends for the best bathrooms in 2018 have brought a new wave of materials and all the surfaces in your bathroom are covered! For hardware, consider a softer approach with a matte finish, rather than fixtures that have a distinct gold or silver finish. These muted hardware tones serve as warm, comforting compliments to other design elements in your bathroom, instead of overpowering them. For your sink, pass on the typical porcelain. Consider going with a vessel sink made of glass or stone. Looking for the best surface material for counters, walls, and tiles? Quartz is a winner, it is environmentally friendly and also costs less than other surface options, such as granite. Plus it is extremely durable, easy to maintain, and antimicrobial. Let’s be honest, how often have you really used that giant spa tub taking up valuable space in your bathroom? For 2018, the spa shower is in and the spa tub is out! [clickToTweet tweet=”The shower is pushing out the tub and gaining more square footage in bathroom floor plans.” quote=”The shower is pushing out the tub and gaining more square footage in bathroom floor plans.”] To win over buyers who are expecting a tub, the best bathroom remodels will include showers with multiple body sprayers, drenching rain shower heads, built-in sitting space, product holders…the works. Even the most critical tub lover, will enjoy the latest shower innovations. The toilet is not the most glamorous aspect of the bathroom and that’s exactly why more people are hiding their loos. No one wants to be stared down by a toilet, or accidentally see a family member doing their business. If you are going to be remodeling your bathroom, finding a way to tuck away the toilet tops high on the list. An oversized bathroom or private toilet room is not needed but are nice if you have them. A toilet can easily be camouflaged with a half wall or decorative glass. While homeowners are wanting to keep their toilets out of plain view, this does not mean they are out of sight and out of mind. In fact, things are really starting to get interesting in toilet tech. High-end toilets have things like warmed seats, automatic lid control, built-in deodorizers to combat odors and so on. Bidets are also becoming more common here in the United States although they have been a staple in European countries for quite some time. Who can complain about a cleaner, better smelling bathroom experience? Advances in technology have affected nearly every aspect of American life, altering the way we get paid, what our vehicles can do, even how we watch TV shows. Is it any wonder, that technology advances have come to the bathroom as well? Technology in the bathroom offers greater convenience and comfort. Some top additions to consider are mirrors which allow you to control the light and temperature in the room; devices to control your shower flow and temperature before you get in; motion-detecting lights that turn on and off automatically when people enter and exit the room; and voice-activated speakers. In fact, you can control many of these devices from your phone. These type of technological features are being integrated into more homes, especially during remodels. Installing some of them now will make your home stand out when you put it on the market. Equipped with the knowledge of the best bathroom remodeling trends in 2018, renovating your bathroom doesn’t have to leave you clueless. When selling your home, a bathroom remodel is one of the best projects you can do to entice buyers.